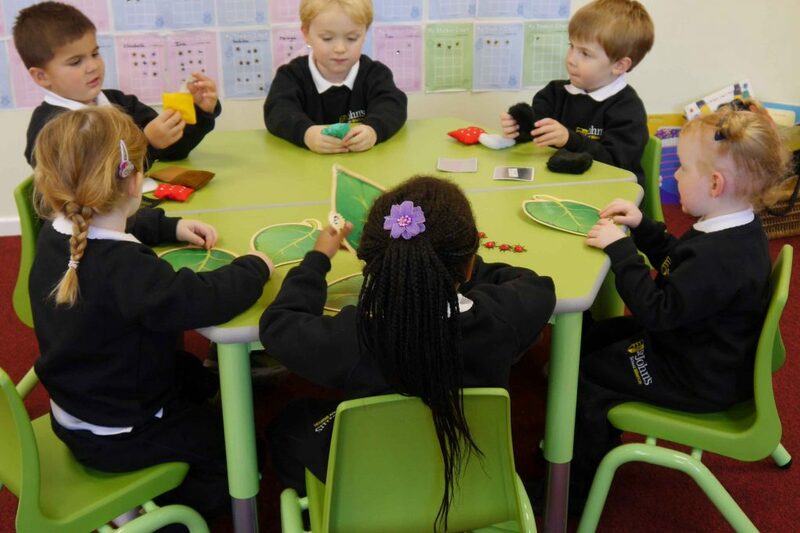 St John’s Pre-Reception is situated within our purpose-built Kindergarten building, enabling the children to become familiar with other children in Reception, Lower Kindergarten (Year 1) and Upper Kindergarten (Year 2) and their members of staff who may teach them once they move on from Pre-Reception. We have two bright and colourful rooms which are dedicated to our Pre-Reception, our Pre-Reception Nursery for our youngest children aged 2 – 3 years and the other for the Pre-Reception 3 – 4 year olds. In this way, activities can be planned which not only target the age and stage of each child but also foster a love of learning which is carried throughout their years in education and beyond. 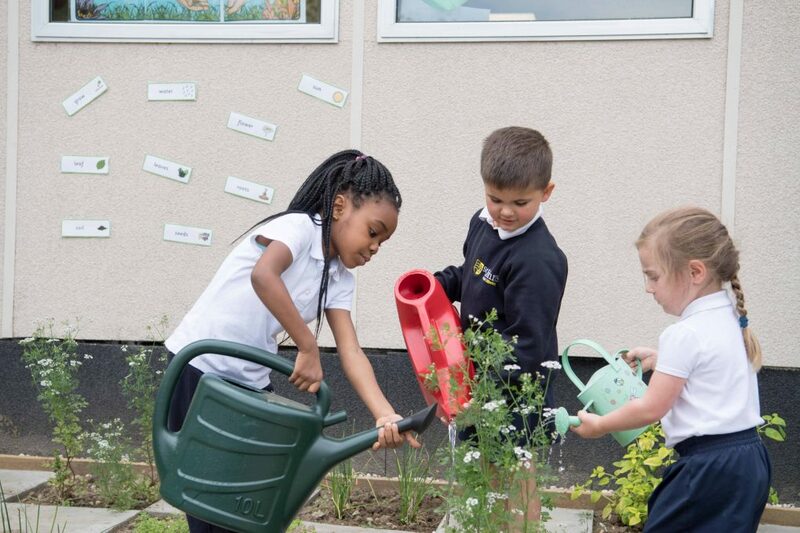 Secure outdoor learning areas allow the children to investigate and explore throughout the year. On entering St John’s School Pre-Reception the minimum number of sessions your child has to attend is two mornings per week. Session times are 8.45am to 12.10pm (morning session), 8.45am to 3.10pm (full day) or 8am to 6pm (extended day). Pre-Reception is an integral part of St John’s School. Our children attend school assemblies, take part in Christmas Plays, enjoy visits from the Easter Bunny (run by our Parent Social Committee), and enjoy an annual Grandparent’s Breakfast where they get to take their grandparents around their classroom and have breakfast with their grandparents… the list is endless. Our Pre-Reception teachers use Tapestry to record your child’s progress to ensure they are reaching their key milestones. Parents are invited to regular parent/ teacher consultations and the staff will always make time to speak to you regarding your child. For children staying throughout the day we have an onsite catering team who freshly prepare meals for the children, catering for all dietary requirements. Children are also given snacks of fruit and a biscuit mid-morning and similar snack mid-afternoon.